Our doors opened on May 18, 2000, with our distinctive red and white striped awning in Downtown Port Clinton, Ohio. Once inside our store, you can watch the World's Best Popcorn being made, and maybe even smell the aroma of Frosted Almonds or Pecans being prepared. 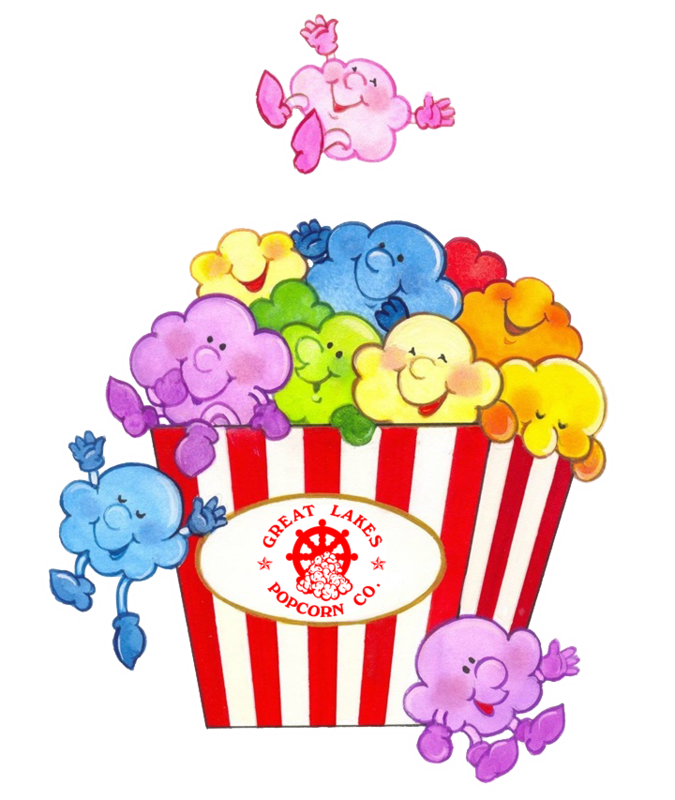 At Great Lakes Popcorn Co. we specialize in unique, high quality gifts, perfect for munching, and given as gifts to friends and family. When in our store, feel free to sample any or all of our delicious flavors. The difference between our store and other gourmet popcorn stores is that we know our popcorn is delicious, and we want you to see for yourself. We have more than 30 delectable flavors of popcorn. From the old standards of Caramel and Cheddar Cheese to our signature flavor of Vanilla Butternut, or our special Island Mix, or Jelly Bean, or even Wild Walleye! Our Motto is, “We want every visitor’s time spent inside of our store to be their top social experience of the day!” Our smiling and energetic staff will try to make sure that happens! Stop in and try to prove us wrong! But if you can’t have the experience of traveling to Port Clinton, located directly on Lake Erie, we would be happy to “make your day” by shipping you some delicious treats!